Imagine the scenario. You’ve been tasked with engineering the car to replace a model which is critically acclaimed and has collected 18 motorsport titles in a six year lifespan. Where do you begin? It really is the impossible job. The original BMW E30 M3 was a bone fide M car. Built with one purpose – to win touring car races. It was a bespoke machine that was far removed from the rest of the 3-series range. It wracked up the rewards and critical acclaim. So when it came to replacing this automotive legend, BMW knew exactly what to do. Rip up the blueprints and go off in a different direction. The E36 M3 is everything that straight A, first class honours, older brother E30 isn’t. The E36 isn’t the frenetic, intense and focused machine the original M3 was. And it’s all the better for it. It’s a grand tourer, a business man’s express, an autobahn stormer. But it’s equally at home on a B-road blast. The car has become a classic in it’s own right and values have soared, now the car has been freed from the clutches of the industrial estate donut merchants. 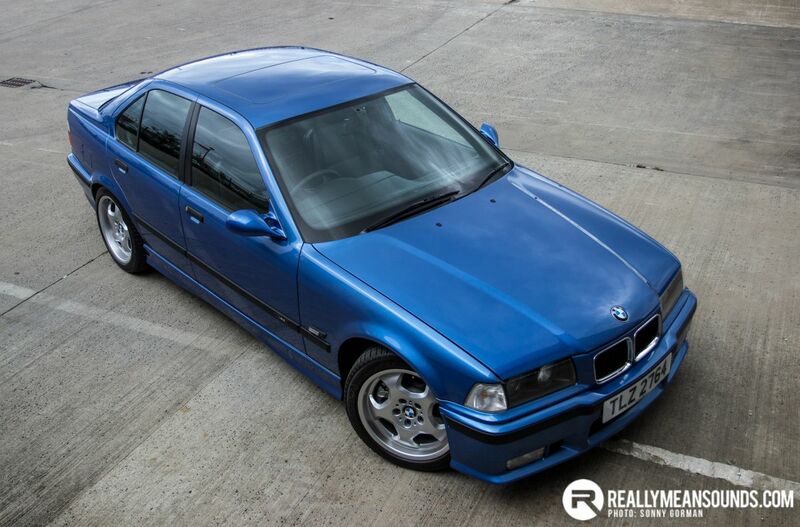 I’m Neil_M on the forum, this is my E36 M3 below, and I’m going to let you know why this generation of M3 is potentially the pick of the M-Power bunch. The E36 M3 was always an attraction for me growing up in school. I was very tempted to run one as a daily driver many years ago, but felt the car was out of reach. It continued to appear on the car buying radar over quite a few years. I eventually decided it was time for a project car. The E36 M3 was straight onto the short list, as were classic Imprezas and the DC2 Integra TypeR. In typical soap opera fashion, I was starting to give up hope. One Impreza had it’s windscreen held in with bathroom sealant and I was told the knackered clutch was a gold plated deluxe mega star racing item. One Integra had seen more hedges than I have had hot dinners! My M3 appeared online and the deal was done within a week. The car is extremely subtle in its four door guise, enhanced, I think, by the lack of rear spoiler or front splitter. Look round the car and little touches mark it out as something more than an old BMW. Looking through the front alloy wheels reveals two piece discs with M stamps on the bells and the calipers. 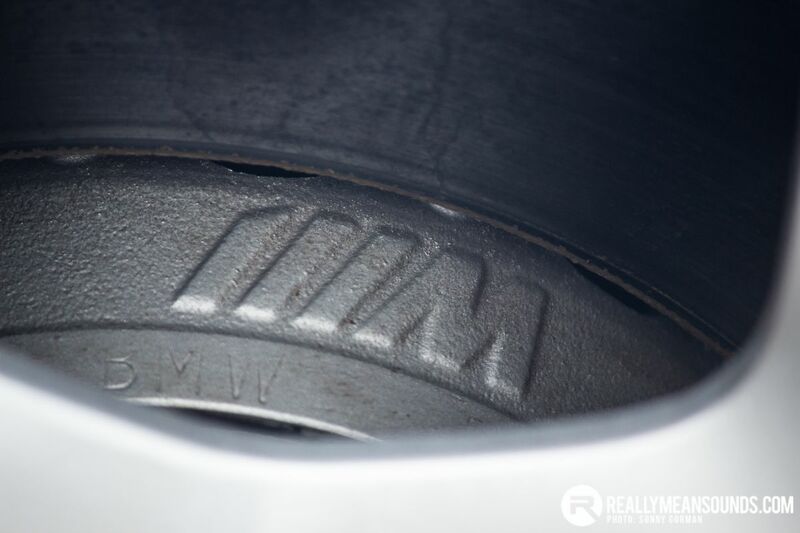 The trailing arms unique to the Evo also come embossed with M stamps. Ducts in the front bumper direct air to the front brakes. A good summary of my attitude towards the car is to do things right. I’ve taken the time to pay attention to small details. 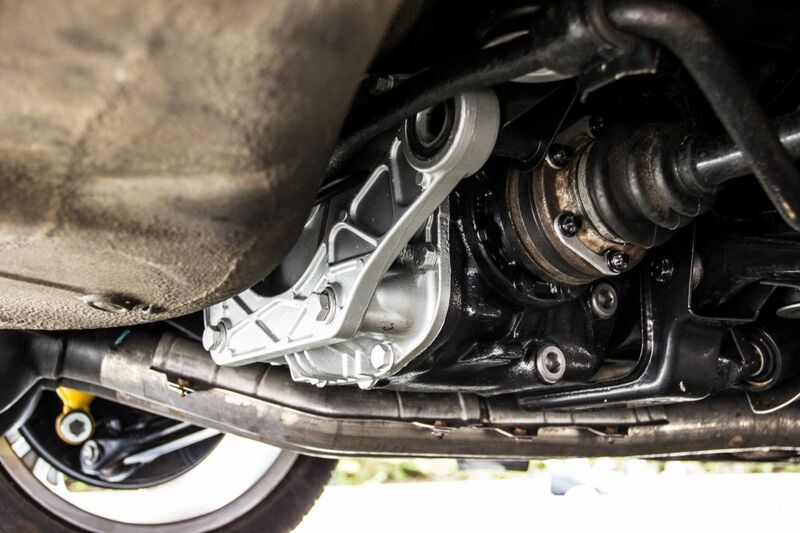 I’ve painted brackets, powder coated suspension, replaced fastenings with stainless equivalents. Lots of fairly mundane components have been cleaned or refreshed. Any upgrades to the car have followed that same ethos. 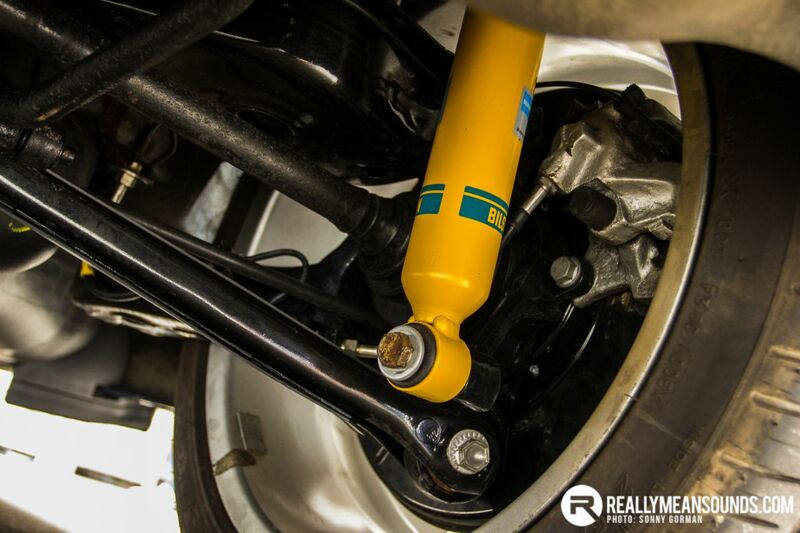 Bilstein B12 suspension is a discreet but very effective improvement to the handling; a gutted rear silencer adds a little more volume to the exhaust but retains the standard looks; a rebuilt braking system with black stainless braided lines add more feel. The E36 M3 had a luke warm reception from the motoring press when it launched with the original 3 litre six-pot. The 3.2 Evolution model added more power and torque, which addressed many of these issues, but it didn’t quite recover from some reviews. The S50B32 engine as fitted to the E36 M3 Evolution is a masterpiece. Without a doubt this is the highlight of the car. It has beautifully sharp throttle response really sings high up the rev range. That extra torque and wide power band that makes it pull like a train all the way to the red line. It really does need to be pushed to get the best out of it. Chassis wise the car is very much a road car first. I would describe the chassis setup as supple and mature; it’s quite refined despite its age. Initial under-steer can be provoked into controllable over-steer, but it remains a stable car at speed. It’s equally at home on a motorway blast as it is darting down a back road. The steering can be quite heavy and slow at low speeds. This is less noticeable at speed, however it’s one thing I may improve buy replacing with either a Z3 or E46 steering rack. The gear change is fairly agricultural. It’s notchy and stiff when cold. I quite like this as it just adds a little quirk to the car. The brakes, while having two piece discs up front and having reasonably sized calipers, lack consistency when driving at pace. I believe this is due to the brake pads being made from balsa wood. The pads may get a mild upgrade to a different material. That said, a fresh E36 feels like a well-made car, even around the twenty years old mark. Why not an E46 M3? I’ll take off my rose tinted glasses to answer this one. The E46 M3 is in my opinion a “better” all round car. Under the skin the two cars are very similar; however do remember the E46 is a development of the E36. BMW had a very good base to work from. However the E36 is a rawer car, more basic and has a more extreme power band. Ultimate performance between the two cars is negligible. 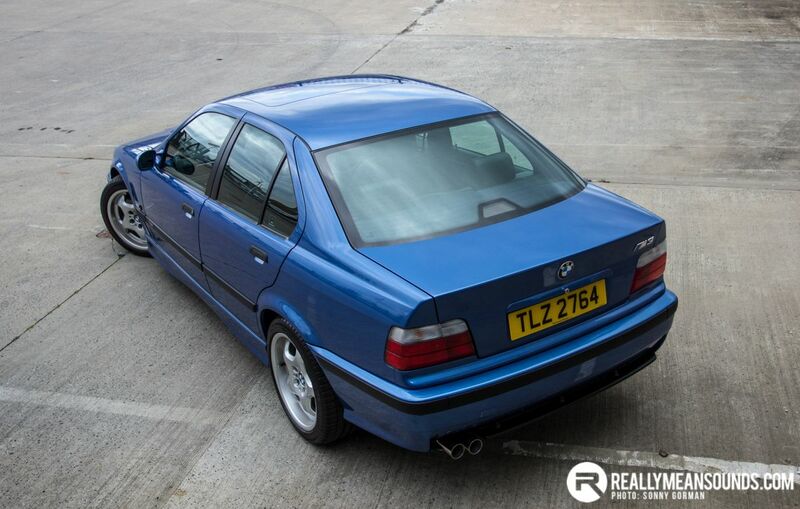 Weight, aero and gearing favours the E36, while horsepower and the chassis favour the E46. Well the car certainly isn’t finished. There are plenty of little jobs left to do. I will keep improving and maintaining the car. Bigger jobs are going to be a front end rebuild (as per the rear), I may upgrade the brake pads, re-underseal the underside of the car and overhaul the coolant system. I would be keen to reunite the car with it’s previous owners too. A big thanks to the guys at Country Garage (especially Gordy), Jonny at AI Autosport, Darren at DW Autos, Neil at Kerr’s Tyres and finally RMS Motoring photographer Sonny Gorman for the photos. Their skills and keenness to help makes life very easy. Neil’s Member’s Car thread can be viewed here. Neil is an IT professional. When he is not telling people to restart computers, he is commonly found in his garage attempting to restore the more-door M3! Great read @Neil_M . Your passion for your car is apparent for anyone to see that meets you and is lucky enough to see it in the flesh. Cheers @Artoir something to keep me occupied with :D.
Great read and it definitely conveys your enthusiasm for the E36 M3. | Cheers @Artoir something to keep me occupied with :D.
I've been looking high and low for "the one" since I got my test (and before) but always end up never keeping anything more than a year. You seem to have hit gold, jealous in a way! | I've been looking high and low for "the one" since I got my test (and before) but always end up never keeping anything more than a year. You seem to have hit gold, jealous in a way! Cheers dude, all compliments (y). There are still the odd few good ones out there for sale. Be quick as there are now investors looking at them too. | Cheers dude, all compliments (y). There are still the odd few good ones out there for sale. Be quick as there are now investors looking at them too.